How do you interact with IT-professionals about cloud computing? Not an easy job since most pros know probably more than you about this. 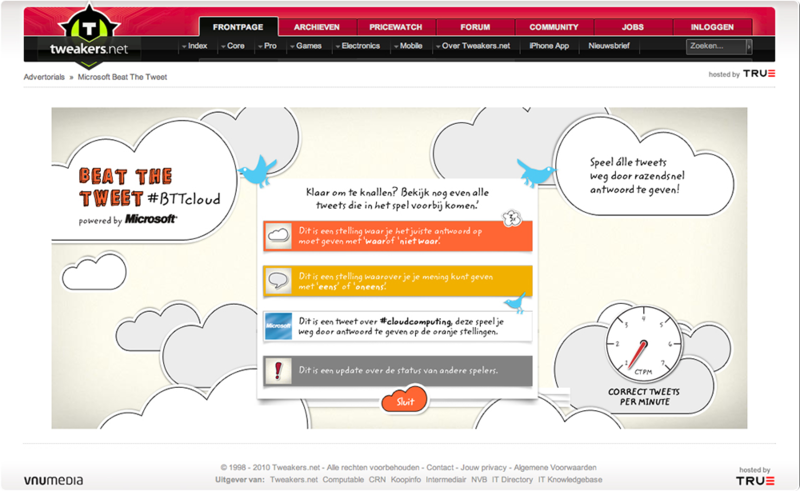 But then we noticed something: every minute – someone tweets about cloud computing. Why not create a knowledge game which is based around this constantly growing content? We combined Twitter and Tetris and created a geeky game for IT professionals. 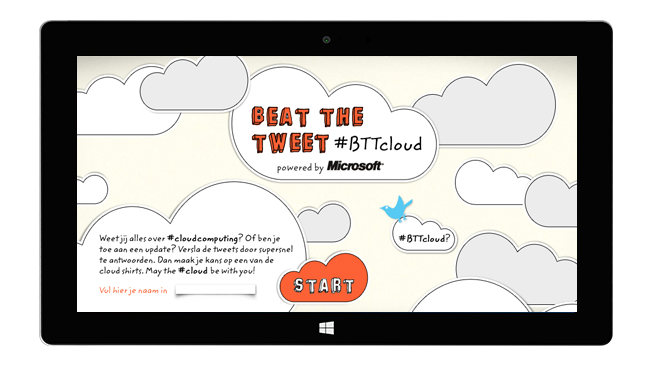 In Beat the Tweet we asked for their opinion, we challenged their cloud-knowledge and gave Microsoft the opportunity to have a meaningful conversation about cloud computing.